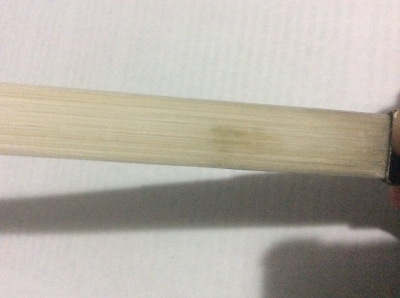 Bow hair damage from case? Something weird when I properly leave my bow in the case. 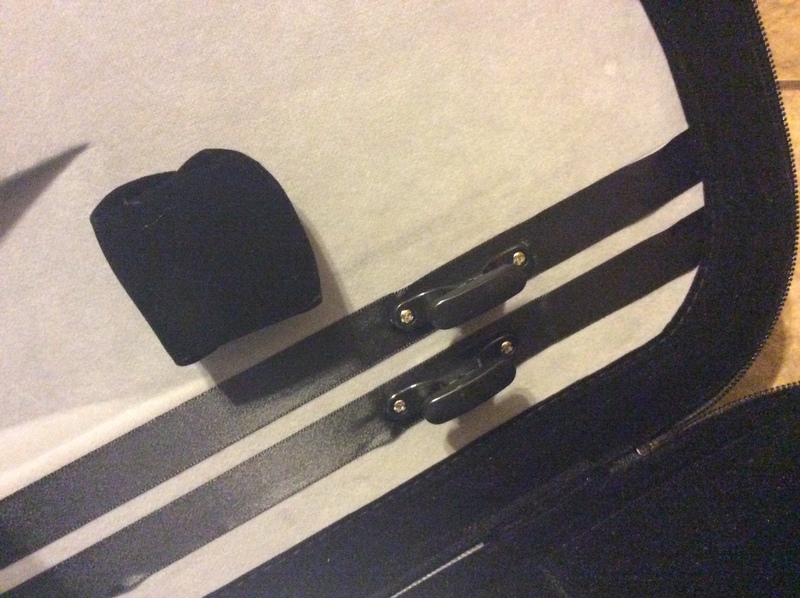 Just a quick question about my fiddlerman CF bow in the case from the artist violin outfit. I am starting to notice that my bow has a strange spot on the hairs where it comes close to the spin holder. It was not originally there and I’m not sure what is causing this. It could be the humidity or temperature since the spot is kind of sticky. However, it is cold and dry where I live right now. Appears just to be dirt, smoke, oil etc. That gets pushed down to the frog it's a tell tell sigh how close your bowing to the frog many times many bows are dirty down in that area I have noticed. My best guess is that you may have touched that area with your fingers without realizing it. The oils from our fingers will make the hair look dirty, and make it hard for the rosin to stick to that spot.